U.S. Exports and Imports of commodities are organized into two categories: by 10-digit HS code and by Port. World Imports and Exports: WISERTrade provides detailed information on the following countries using the codes upwards of 8-digits, except for the broad United Nations (184 countries) category. Data for the world imports and exports is divided among various subsets, the two categories that each country shares are partner country and value in U.S. dollars. Formed in July 2004, the World Institute for Strategic Economic Research, WISER, sought to continue the work of its predecessor, MISER—Massachussetts Institute for Strategic Economic Research in the field of international trade data. Another website that offers trade statistics, right? There are quite a few of them out there, so which ones are worth the effort and your dollars? Hopefully this review will help you figure out if WISER is a good fit for your needs. WISER (MISER) was one of the first Business and Industry Data Centers to focus especially on foreign trade statistics and through various developments has become one of the leading providers of U.S. and state level trade statistics. WISER data is derived from only official sources, according to customer service representative Jack, such as the U.S. Census Bureau, government customs agencies, and United Nations database. Data from WISER is from “legitimate sources, no third parties here.” Dating back to 1988 until present day, many of the reports offer both annual and monthly data and can be exported into various dashboard graphics (charts, graphs, tables). Though only available currently in English, Jack, the WISER customer service representative was very honest in stating where WISER falls on the totem pole of foreign statistic databases. UNComtrade’s data is on WISERTrade, however Global Trade Institute may come in different languages and be more complete, but not without a price passed on to you. Jack noted that subscribers are not allowed to download batches of data, but only limited amounts. However, as Jack described, there are options that allow you to batch your order at a price complete with computer software allowing you to extract the data. Offered in a variety of formats, WISERTrade grants immediate access to comprehensive and timely U.S. trade databases. WiserTrade offers standard and customized statistical reports and data files sent by fax or e-mail. Okay, all of this information is great, but tell me the bottom line, right? How much do licenses cost? Well, it really depends on how many countries you need, as there are different licenses for different users. It is really tailored to the user, the amount you need, whether you want a monthly or quarterly subscription, or perhaps on an as-needed basis. Contact WISER for more information specific to your needs. Here are a couple numbers: consultant licenses range from $3,000 to $5,000 based on how many countries, and for personal use for projects or research is about $1,000. Still not sold? Well, you can try it out for yourself and fiddle around with the system itself, just shoot customer service an e-mail and ask for an online demo, but you have to request it. Global Trade Atlas is an online trade data system that “offers a unique perspective for viewing the world’s merchandise and trade statistics allowing users to view world trade flows for products using the latest import/export data from official sources of more than 80 countries. Russell, from the GTIS customer service team stated that one of the “ways we hope to develop is by updating database functionalities, and hopefully adding new countries. However, for now we only get our data directly from customs agencies and the official government.” GTA primarily uses the Harmonized Code (2-digit, 4-digit, 6-digit, and further detailed as provided by country) allowing users to determine the specificity of their searches. When asked why there are no provisions for other codes, such as NAICS, SIC, SITC, etc., Russell explained that, “the Harmonized code is the most detailed of the codes, and some of them are no longer being used. We have the capabilities for translating some of these codes, but we are primarily HS code.” By default, however the “history” of this data cannot really extend beyond about twenty years, so for longer term data, you may need to look elsewhere. Upon the features of the World Trade Atlas, Global Trade Atlas has also added the “Extra Data Field Module,” which allows users to sift through data by reporting country by region or state, mode of transport, port or customs district, or re-exports and domestic exports. The data displays value, quantity and average unit price, import or export market share, and percentage change. Okay, all good things, but what if I’m looking for a specific commodity for multiple countries, or a certain product group, or maybe all the trade of one or more particular countries, can GTA help me? YES! GTA users can choose to subscribe to all of the above and then determine whether they want to be updated monthly, quarterly, or annually. Unfortunately, I was not able to obtain actual numbers since each of these criteria are important in determining the subscription cost. Contact GTIS Customer Service for specific pricing. Subscriptions are for a full calendar (12 months) year and if you want to experiment with the program before purchasing you may ask for a trial…but you have to ask! GTIS continues to look for new ways to promote a better understanding of global economic development, with its innovative software, a professional staff with strong international trade backgrounds, and experienced professionals in the trade field with the latest technology. There’s Eurostat, International Trade Administration, WISER, and UNComtrade among other sources for foreign statistics. Well, here is one more, GTIS, the Global Trade Information Services. The team at GTIS’s Global Trade Atlas work out all the details so that clients can focus more on analyzing the data and less about the logistics concerning it. GTIS is constantly working to create a system that is not only up to date and comprehensive, but also easy to navigate, which is a huge plus considering how much data can be gained from one simple request. Publishing monthly official government trade statistics for more than 80 countries, representing close to 100 percent of world trade, GTIS has earned a reputation of reliability, efficiency, and service (something I can personally attest to). Though Costa Rica shares quite a few cultural similarities with the U.S., one thing that seems to permeate throughout Central America is the importance of family. Perhaps not so surprising in this collectivist culture, many decisions are based on the effect they have on the family. In this peaceful country, Ticos believe in peace through negotiations. However, just because peace or an agreement is the end goal does not mean that you have to sugarcoat your ideas. Ticos are more concerned that honest opinions are expressed than the need to “save face” due to negative or unpleasant opinions. Ticos encourage open dialogue. By no means be disrespectful, but be honest in your opinions and ideas. Men typically wear conservative suits (where the jacket is kept on until the Tico counterpart removes his first), while women wear dresses or skirts and blouses (pants are not typically worn). Men usually shake hands during greetings, while the abrazo greeting (patting each other on the right forearm or shoulder) is done between women. Kissing is only done between people who know each other well. Good times to visit Costa Rica are February and March and between September and November. Vacations are usually taken during December and January and for Christmas and Easter. In the public sector, the fiscal year is the same as the calendar year. Make appointments in advance and reconfirm before arrival. Do try to visit Costa Rica before making business arrangements, as face to face contact is preferred over telecommunications. Costa Ricans have a strong work ethic and tend to focus on the process of accomplishing the goal as much as the result/goal itself. By preferring to take their time with the process, they are attempting to avoid risks and anxiety. Costa Rica may be a monochromatic society, they also like to take their time to complete projects and generally try to avoid precise commitments. They avoid these precise commitments because of their “high uncertainty avoidance” established in their strict rules and policies in the legal system and societal norms. Ticos are more formal and serious than their neighbors. It is advisable to have local legal representation in addition to a local advertising agency. During these meetings and presentations, everyone involved is encouraged to share their views and ask questions, so to put up a united front each member of your team or delegation to Costa Rica should take part in the presentation. Decision makers in Costa Rica are highly accessible and are willing to participate in frank open dialogue and discussions. The high ranking individual may make the final decision, but usually only after input from almost all involved with the decision, group consensus (group culture). And while a monochromatic society, decisions take time and thought (especially if group consensus is the goal), so try your best not to display any signs of impatience, as that may lower your credibility. Let the decisions stew over a business dinner, perhaps. During the age of Imperialism, many of those who settled in Costa Rica were seeking land and mercantile opportunities. This “rich coast,” named Costa Rica by Columbus, is barred physically with mountain ranges and water, from instability and hostility that plagues the region, and promotes civility and neutrality within Costa Rican borders. Costa Rica has no official army to guard its borders, a history of peace, a relatively stable democratic republic, one of the highest literacy rates in Central America, and a sound economy. Though Costa Ricans feel a strong affiliation towards the U.S. ideals of hard work and individual effort, their attitudes towards the U.S. and its citizens is ambivalent. In fact, like Belize, you may feel more comfortable in Costa Rica than other Central American countries. Though sharing in the Central (and Latin) America tradition of being relatively conservative and risk averse, in addition to the dominance of the Roman Catholic Church, Ticos are monochromatic (punctuality counts here! ), they are probably the most punctual people in Central America. Other Tico distinctions include negotiating patterns in markets, where bargaining is considered a game and an expected practice, it is simply rare in this Central American country. In general, Ticos welcome affluent foreigners, however they do not encourage poor immigrants, for they cite them as the cause of petty crime, loss of civility, and other social ills. Like the United States, Costa Rica, leans more egalitarian than hierarchical. Costa Rican prosperity, general ethnic homogeneity, and commitment to widespread education contributes to an egalitarian society. While there are various social classes, there is a strong emphasis on the equality and dignity of work regardless of social class. There is no need to tip taxi drivers in this egalitarian culture. Following the egalitarian pattern of Costa Rican society, machismo is not as strong as in other Central American countries. There are lower levels of gender discrimination in Costa Rica. For example, women keep their own identity apart from their husbands in all legal and business matters and there is a greater acceptance fore women in business. “Sharing the wealth” is a government mandate that encourages egalitarianism and enforces the preexisting humanitarian, democratic, and group culture attitudes. This “sharing” culture also extends to Costa Rican mentality—they are open to discussion on almost any topic. Ticos are also similar to U.S. Americans regarding their demeanor. They are more subdued and detached in their communications styles, similar to U.S. American businessmen and women. Ticos are more reserved, non-emotive, proud and self-respecting. They have strong beliefs and are not easily persuaded. It is these beliefs more than rules that can determine decisions—rules are guidelines, most things are taken on a case by case basis. While they may have a strong self-image, because of the egalitarian mentality, they have a strong distaste for arrogance and expect all, even those in high positions, to display humility. Status is not as important in Costa Rica, and even if you have a lot of accomplishments, tooting your horn here is not exactly smiled upon. Belize is also different than its neighbors concerning the concept of time. While many of its neighbors have a relaxed view about time and punctuality, Belizeans are more monochromatic like their founders. Punctuality is expected for all business appointments, and while there is some flexibility concerning social occasions, certainly not half an hour or more. While Belizeans are firm believers in punctuality, the pace of life is slightly slower in Belize and like many of you would agree, big decisions need time. They do not have a clear aversion to risk, but actually have a high tolerance for ambiguity and uncertainty. Unlike Guatemala, Belize is past oriented with a concern for a better future. When a good opportunity presents itself, you will find that individual decision makers can move rather quickly. Though hierarchy is flexible, start with formality and titles and then ease your way into informality, like the saying, “better to be overdressed than underdressed.” Like mentioned before, outsiders can quickly become involved in a group, so in large groups pluck up the courage and introduce yourself. Don’t expect personal introductions. Dress in business situations is expected to be formal (dress pants, shirts, skirts, dresses, etc. ), but often accommodates the heat and therefore tends to be more casual. Before your arrival in Belize, it is best to make your appointments at least one week in advance. Then, upon first meetings or introductions, since relationships are key in this country and hierarchy is flexible, make quality (over quantity) connections with people through extended conversations. In the business setting, decisions may take a long time, but punctuality is very important. Since Belize has primarily British roots, many business practices and business laws are similar to those in the United States. Since Belizeans follow many of the British and United States protocols for business, it also means that contracts are exactly as stated, unlike most of Central America, where contracts are flexible. It is also recommended that, like other countries where you conduct business, you have a local contact on the ground to help you conduct business in Belize. However beware that Belizean citizenship can be bought. To find a particular address, get directions from a well-known landmark. Breakfast is referred to as “tea”. Lunch is referred to as “dinner”. When invited to a home for “tea” or to “drink some tea” you are having what we usually consider “dinner” but also known as “supper”. Belize has a distinct style of popular music and dance called Punta, where the feet remain stationary and the rest of the body (especially the hips move; popular among the Garifuna). So get your dancin’ shoes on! Taking coral or tropical fish out of the country is illegal. Belize is one of the most unique countries in Central America straying from the cultural norms of her neighbors. Belize, actually has British pirate (arrgh) and African (slaves brought to develop the timber-cutting industry) foundations. It is the youngest independent nation in Central America, achieving its independence from Great Britain in 1964, and abandoning the colonial name British Honduras in favor of its current name: Belize. English, not Spanish, is the official language of Belize, and while there is no official religion, the national prayer has Christian references. Another unique characteristic of Belize is that it is one of the most peaceful countries in Central America. Though its relationship with Guatemala has been strained, it has not suffered a single coup, major uprising, or guerilla war, which have plagued much of Latin America. “The British of Central America” is really an accurate description, given the political system and membership in the Commonwealth of Nations. Belize is a parliamentary democracy and constitutional monarchy with the Queen (of England) as the monarch and chief of state, represented by the governor general, a native of Belize and the prime minister the head of government. Once political parties gain power, they tend to be relatively cooperative with outside business people and investors. The primary industries for business in Belize include tourism, agriculture, forestry, and recently, banking. Isolated behind a barrier reef, Belize has been ignored, for the most part, by outside forces allowing unique cultures to develop. Caribbean influence is predominant among the business class and along the coast. Creoles formed the backbone for Belizean urban society for decades. However, while the coast and urban areas are very much Caribbean influenced, towards the interior, a majority of inhabitants are Spanish speaking Mexican and Guatemalan. Society itself is male dominated, and women still play traditional roles, though the situation is changing. Women can inherit businesses, but women are infrequently seen in executive roles, and are especially rare in government. However as business grows and women attend university this is changing. Belize is not necessarily a collectivist society, nor is it an individualist one either, it is rather in between the two paradigms. Social roles maybe strict, however class distinctions are more fluid and hierarchy does not have the same importance as in Belize’s neighbors. Outsiders can be easily and quickly involved in the group, when there is a reason for them to be. So though there may be some cultural stigmas towards women, these are changing, and since hierarchy is not as important, there is more access to all sectors and levels of business. Relationships are also highly important in this society; rules may be respected, but the priority is in honoring social responsibility toward one another. Before the popular GAP owned clothing store came along, the original “Banana Republic” was in reference to Honduras. Bananas, coffee, and wood are the main exports of Honduras. Located on the east side of Central America, the name Honduras was derived from the Spanish word la hondura, referring to the deep water off the country’s Caribbean coast. The Roman Catholic Church, with about 97% of the population, influences Honduran society by providing structure through Catholic precepts and various holidays. Family, like in other Central American countries, is also highly important here and can be the deciding factor in individual decision making. There is an inherent trust in people because of the network between families, extended families, and friends. In addition to the influence of family and friends, Honduran society is a highly subjective society that bases its decisions on its own feelings, precepts of the Catholic Church, and Mayan cultural heritage. Hondurans, in general are more flexible and willing to see new options and ways of doing things—don’t be afraid to present new perspectives and ideas. Honduras is an open society that readily accepts change. Honduran society is generally a more egalitarian society, in comparison with other regions of Central America, due, in part, to its relatively homogenous society. The homogenized mestizo society developed without institutionalized slavery, providing the foundations of pluralism in society. Many Hondurans, however, want to seek their prosperity and security elsewhere. There is a inscription above the jail in Trujillo stating, “La ley is duro, pero es la ley,” meaning more or less that the law is the law and that there is no changing it and really no escape from it. The upper classes may believe differently, but in this sense Honduran society is somewhat resigned to their situation, and play their part in respecting the hierarchy of it all. Honduras is considered to be the pariah state due to its dependence on the U.S. and decreasing power within the region. Since 1990, Honduras has tried to reduce its dependence on the U.S. by encouraging investments from other nations with tax advantages and cheap labor. Honduras has many resident foreigners from Asian and Arab countries who have come to take care of tax advantages. These groups, however, do not have much political influence, mainly due to their lack of cohesion. When choosing foreign representatives for your company, choose someone local and check out their credentials. Make sure to build up confianza and simpatico and a personal relationship; one is less likely to betray a friend than a detached business professional. Harmonious interpersonal skills can compensate for lack of expertise. When purchasing, price may be the major deciding factor, but customer service is the next factor, remember they are buying your personality with the product. Nicaragua is the largest country in Central America (not including Mexico) and has been considered as a possible site for a sea level canal that would complement Panama’s. Though predominantly an agrarian culture (60% of Nicaragua’s exports), increases in the tourism industry has influenced foreign direct investment in Nicaragua by about 79% from 2007 to 2009. Although Nicaragua shares many of the cultural norms and values of most of Central America, it still has a distinctive culture. Nicaraguan culture is divided between a more traditional Hispanic formal culture and a new revolutionary egalitarian and informal culture. Like most of Central America, the Roman Catholic Church also holds the majority of supporters here and minimal political influence, giving society structure and hierarchy. However, many of the ruling conservative elite actually subscribe to a form of Neo-Pentecostal Protestantism, which provides justification for the wealth of the ruling elite as evidence of their faith and poverty the lack thereof. The role of religion in justifying wealth and poverty also contributes to the traditional formal culture. This formal culture is often at odds with the newly emerging egalitarian society. Despite the fact that individuals of different classes are treated differently, which one can argue is true of any country, the universal application of the law tends to be a sensitive topic, implying that Nicaraguans are not satisfied with their current state and strive for equality. Unlike many Central American countries, conspicuous display of wealth or distaste and avoidance of manual labor, seen as a sign of privilege, can generate strong negativity, another sign of the struggle for an egalitarian culture. One of the ways that this revolutionary egalitarian culture has begun to take root is in gender roles, there is a higher percentage of women enrolled in school than in most of Central America. Just because a new egalitarian society is starting to emerge does not imply that Nicaraguans are not a proud people. They are proud of their heritage, their beliefs, and their position within society. When greeting Nicaraguans, handshakes are the accepted norm,and kissing is a common greeting once you have an established relationship. Most of the ruling business elite speak English, but Garifuna is spoken by the coastal African population. In terms of communication, Nicaraguans are less concerned with loss of face and also less inclined to sugarcoat bad news or avoid confrontation. It has been said that Nicaraguans can be direct and blunt in their communication style, but will filter how much or little of their true sentiments to express depending on the rank and status of those present. Despite various mechanisms to “save face,” silence is generally uncommon but used for formal situations or when avoiding confrontation is necessary. Remember, when communicating, remain logical, formal, respectful, and diplomatic…but don’t be a robot! Be warm, open, and personable too! Though known for Flor de Cana rum, tobacco and beef, Nicaragua’s other industries—tourism, banking, mining, fisheries, and general commerce—are expanding. Nicaraguans tend to look to the future and are inspired by the possibilities that change can bring. Nicaraguans, though typically risk averse, have been known to make fast decisions and swiftly seize opportunities when they are presented with one. The process for decision making mimics the pace of Nicaraguan culture, which is more relaxed, and while punctuality is expected, you may find yourself waiting. Note that time is more monochromatic in the capital city of Mangua. As with many Central American countries, personal relationships with the right people are very important. Known as enchufado in Nicaragua, this is an important business intermediary in your Nicaraguan ventures. You will find that the traditional Hispanic hierarchy exists in the rigidly layered workplace. However, in less traditional, liberal organizations and businesses, there is a strong egalitarian spirit throughout the entire organization. Panama is the bridge between the Americas, home of the famous canal connecting two Oceans, and the wealthiest country in Central America. Due to the United States’ involvement in the construction of the Panama Canal, Panamanians are very familiar with U.S. culture. However, attitudes towards U.S. influence and involvement are mixed. The country is ruled by a small military right wing elite, which is receptive to U.S. interests, perhaps adding to the tension between the two countries. It is highly important to establish personalismo—personal relationships and to become part of the Panamanian family (the basis of Panamanian society). Panama shares many of the general business practices outlined in earlier articles concerning the region, such as expected punctuality from foreigners and strong work ethic. Status is important here as in many parts of Central America, and even those with a Bachelors degree are acknowledged with the title licensiado. When making appointments, initial scheduling should be done far in advance, through direct contact (not intermediaries), and confirmation at least a week before your arrival. Though formal business attire is appreciated, weather in Panama usually dictates a more casual (and comfortable) attire. The lack of jackets and ties are acceptable (and expected), though those in high positions don suits or camisillas—an open necked shirt typically worn untucked. Women typically wear skirts and blouses, or dresses. Women should avoid revealing clothing including shorts, and wearing pants in some rural areas of Panama may draw some attention. Greetings resemble greetings of other Central American countries, with the handshake being the primary gesture of welcome or greeting, and kissing between women is done when they are familiar with each other. Some negotiations are held at the office, while others are held over lunch at a restaurant (business dinners are rare). Lunch usually takes place around noon, and is an affair that lasts about an hour and a half. Though Panamanian women are still rare in business, their presence is growing. 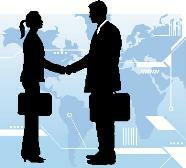 Foreign businesswomen may include their spouses in the invites to business dinners. Wait to be seated, as the host usually sits at one end and the honored guest at the other. Men are expected to stand when women enter or leave the room. And while many business conversations begin with small talk about family, hobbies, or sports (avoid talking about the Canal, race problems or politics), sometimes the host, especially if pressed for time, may dive right into shop talk. Gift giving in Panama is not expected, but meals of thanks are acceptable. Gifts are appropriate if invited into a Panamanian home or in the rural areas. Gifts should be from the your home country or state, perhaps a local craft or an illustrated book. The latest electronic gadget or expensive liquors, chocolate, wines, and Scotch are appropriate and appreciated. Respect for others and knowledge, even a precursory knowledge of culture and society of different countries will put you in a more favorable position to do international business. With a growth rate of 6.2 percent in 2010 and a similar annual forecast until 2015, Panama is one of the fastest growing economies in Latin America. The U.S. Trade Agreement can result in the liberalization of trade in goods and services where U.S. firms will have better access to Panama’s services sector. With an increased interest and support from the U.S. government for increased trade relations with Panama, Panama may be the next market to break into. Like many countries in Central America, Catholicism is the dominant religion (80% of the population) and gives society structure, emphasizing reverence and respect for hierarchy—seniority, the elderly, and status. Just because respect for hierarchy is important in this Central American society does not mean that there is no respect for those of lower classes or the youth, in fact Panamanians believe in the inherent worth of every individual and therefore avoid public criticism. Panamanians like to maintain an image of harmony, so while people are not publicly criticized, it does not imply that they are never criticized (out of hearing of others). Though traditional Panamanian society dictates a high respect for the elite, young Panamanians are less sympathetic to many of the privileges awarded to the elite. While Panamanians are followers of strong leaders, the Panamanian youth are not as compliant with the extent of elite privileges. There is a large disparity between the wealthy and poor, and while different races and groups exist, there are rigid class distinctions. Los Rabiblancos (whitetails)—the white urban Panamanian elite—hold most of the country’s wealth and are most likely the same people who run the business sector of Panama. Though Spanish is the official language of Panama, the familiarity with U.S. customs has led to the spread of the English language throughout most of the region and certainly anyone you plan on doing business with. While Panamanians are open to all sorts of information, they tend to be very subjective and somewhat politicized; for example, if a Panamanian has anti-(U.S.) American views, he or she may reject any information from the United States. Panamanians rely on their gut instincts, and unless educated abroad, will rarely let objective facts stand in the way of their true intentions and desires. Younger Panamanians tend to be more objective. The family is just as important here in Panama as in many other countries in Central America and is the single most important social unit. Decisions are made with the family in mind in this collectivist culture, so when negotiating or pitching ideas, keep in mind that your Panamanian business associates are looking to benefit their family and extended family/families. The family (and extended family) provides stability and protection against a sometimes hostile and more often unpredictable world. These personal relationships, built on mutual trust, are maintained at all costs. The Mayans of Mexico also inhabited what is now known as Guatemala, labeling it the “Land of Tree;” in fact Guatemala was the first country to have uncovered the ancient ruins of the Mayan astrological calendar computation. So according to the Mayan calendar, we need to make 2012 count! Like Mexico and many countries in this region, Guatemala also adheres to many of the cultural norms outlined in previous articles concerning communication, business practices, hierarchy, meeting etiquette, etc. However, as many countries share similarities, they also differ significantly establishing them as unique cultures. Like Mexico, the precepts of the Catholic Church give structure to life and have little influence in the government. However, unlike Mexico, Catholicism is not the official religion; over the years, the Church lost popularity amongst the wealthy. The Catholic Church and the family, like Mexico give Guatemalans a sense of structure and consistency throughout Guatemala’s troubled history of revolutions and military coups. Wealth and family give the individual status and security for the future. The general outlook of Guatemalans tends to be fatalistic, accepting their prescribed role in society, though hoping for better futures. Hierarchy here plays a part in the structure of society and tends to be rigid in some respects, such as women’s roles (only women may be charged with adultery) and lax in others, such as interactions between high ranking business executives or government officials and foreign sales people. Perhaps it is because Catholicism, and consequently precepts of rigid hierarchy, have fallen out of favor with the wealthy (i.e. those in power, executives of companies, high ranking government officials) that reaching high ranking officials is easier than in Mexico, i.e. there are not as many hoops to jump through in Guatemala to see the boss. These executives, however, perhaps because of their rank are not afraid to say what they feel and tend to be open and speak bluntly. Other nuances of Guatemalan business culture is the fact that since Guatemala is a small market, one bad word or opinion of you, or your company, can go a long way, unfortunately. Well, good thing you are reading this…now you have a heads up! When it comes to results or process, the inclination is towards progress. The process itself may take a particularly long time, so as to ease those who are opposed to change into the new situation or processes. Similar to Asian countries, Guatemala is a collectivist country (thinking in terms of the group or family) and Guatemalans are opposed to change for the heck of it; in fact you will find many Asian owned manufacturing companies in Guatemala. When selling to Guatemalans, price may be the single most important factor in the purchasing decision. While many of Central America’s customs and cultural traditions mentioned in previous articles are also shared in Mexico, including responsibility to the group, traditional gender roles, communication patterns, business practices (meetings, negotiations, etc. ), Mexico itself has a unique culture apart from these shared characteristics. A primary figure featured throughout Mexico is the Virgen de Guadalupe, who is a symbol of unity between the Aztec and Spanish cultures. She also serves as a symbol for Mexican nationality. The Catholic Church has a strong presence in Mexican society (90% of the population) and also serves to reinforce social hierarchy. One’s role in the social structure, and the presence of responsibility to extended members of family (which, as a business associate, you are attempting to become part of) give a sense of stability to life. Because hierarchy and reputation go hand in hand, it is also important as a high-ranking business professional not to cause humiliation by publicly criticizing; remember to try and preserve relationships. Not only is Mexico one of the United State’s largest exporters, but Mexico also has the largest upper middle class of all Latin American countries. John Farrell, Country Director of Google, notes that Mexico has a “young population” which will result in a large workforce in the future. The “thumbs up” hand gesture generally means approval. The “thumbs down” hand gesture is seen as obscene and vulgar. Though taxi drivers are not generally tipped; tips for drinks and food in Mexican restaurants is about 15%, perhaps more in tourist cities. When making appointments in Mexico, make them approximately two weeks prior to your arrival, via e-mail or phone, then confirm a week before your arrival. Genuine cantinas in Mexico are visited by men, a woman’s presence is considered scandalous. Do not drink the tap water, except where officially noted; this applies to ice as well. Lunch is the main meal of the day and can be an extended affair; business lunches are popular. Business meals are not typically the time to make business decisions. The most common toast in Mexico is ¡salud! to health and prosperity. ¡Salud! to your business plans in Mexico! There are two different types of business meetings in Mexico and Central America: a meeting between peers and a meeting between unequals. Both have different goals and are conducted differently. Between Peers: With the high status of participants having been established, meaning that all the formalities of going through lower channels of subordinate communications, these business associates can communicate openly sharing ideas. These meetings act as forums for sharing ideas and making decisions, and everyone is expected to contribute to the general decision making process (as the need for group consensus dictates). Discussions may be loud and vibrant with everyone talking at once with all comfortable with their position to pay attention to formalities. In these meetings questions are common and interruptions expected. Imagine this as different heads of households coming together to, say, make a decision about a city ordinance that affects your neighborhood. Each is comfortable and secure in their position as head of house and sees each participant as his peer, and feels like (s)he can speak freely. Between Non-Peers (or Unequals): Meetings between subordinates (of all different levels) are typically more formal as it is the beginning of relationships that hopefully culminates in the dialogues mentioned above. These meetings are usually called by the decision-makers to gather information, clarify goals, and/or formulate action plans. There is no real sharing of ideas or efforts at problem solving. This first meeting is to really size up the other company. Your goal should be to establish compatibility and mutual respect (simpatico), be warm and dignified, and make a good impression. Similar to parents sending their children to play with other children on the street, collect basic information and get a general idea of compatibility and intentions, in other words lay the groundwork for heads of house to meet. Once in the position to present proposals come well prepared. Your presentations should be carefully planned, logically organized, and beautifully presented with interesting visual aides (charts, graphs, and handouts)—remember how important it is to look successful, make yourself a force to be reckoned with! Bargaining is an expected way of negotiating, as ingrained in society and present in small shops and markets. Bargaining is an instrument to building trust so be reasonable, don’t divulge information easily, and don’t overcompensate (you don’t want to appear easy!). Bargaining is a tool used across the world as a way to build a relationship where both sides seem to appear to win. It’s a game and you are expected to play! Like contracts in China, contracts in Central America are seen as legal formalities, which can be altered if there is a need. Families and their extended networks help each other out, they take care of each other, you are marrying into the Central American family and the business! Mexico and Central America are both relationship and status driven societies. It’s really about who you are and who know and how they “take care” of you. The wait staff may serve a table that arrived after you because they know the diners, or because they are aware of the diners’ statuses. Additionally, if you are one of three business proposals and the Central American company has a personal relationship with an associate of another company, well, which company do you think will be chosen? It is important to network as much as possible and lay some groundwork before attempting to conduct business with Central American companies. By building these relationships, you build confianza (trust, special treatment or personal favors) and simpatico (establishing compatibility). Realize that people in Central America like to do business with those they trust and are essentially on good personal terms especially family. Many of us do not hesitate when family asks for favors and we do anything in our power to help out family. Centro Americans are similar, knowing that their families would take care of them and they would take care of their family (or extended kin). The long and short of it, build relationships and network, pay it forward (treat them like family and stress compatibility), and present yourself as the friend (i.e. extended family) who they know will grant a favor should they ask. So establish relationships with company associates before proposing business deals… if they will have you. Along with paternalism in Central American society is the importance of reputation. Not only do you need to be wary of the hierarchical structure and what you say, but you have to present yourself as someone worth caring about. Central Americans want to conduct business with important people, with top people at your company, therefore putting your best foot (or sets of feet) forward for important business deals is extremely important. In Central America, wealth and power are synonymous and shown through an ostentatious display of wealth with luxury items and status symbols. They dine at fine establishments, wear luxury brands, drive expensive cars, physically displaying their success. As a potential business associate of these Central American companies, it is also important for you to portray yourself as an equal, by staying in fancy hotels, dining at fine establishments, dressing well, pretty much going the whole nine yards. By living somewhat extravagantly you imply that you are successful, like how in medieval times skinny was considered ugly and heavier was beautiful as it meant rich and bountiful, i.e. successful. Put your full title and all the advanced degrees on your business cards, act the part, dress the part. The dress for business occasions is typically formal. The fashionable look to Europe. Men dress in stylish (dark) suits, white shirts, interesting and sophisticated ties, polished shoes, stylish accessories (watches, cufflinks, ties, etc.). Women dress fashionably and accessorized. As with most cultures, in Centro-American culture it is best to be introduced through a third party like a friend of the family. Being well-connected is an admiral trait in Central America. Women are introduced first, then men, usually according to seniority and importance. Unlike Asian cultures, which stress the importance of business cards with introductions and greetings, it’s more casual in Central America where a soft hand shake or kissing (air kisses please!) will suffice. Business cards may be exchanged, but they are used mainly as a resume device indicating your rank in the company, so be sure to put your full title and any advance degrees you hold, because they care. Oh, and Spanish on one side of the card, please and thanks. Just because there is less hype about business cards in Central America than Asia does not mean that the culture is informal. On the contrary, titles and hierarchy create a formal culture. Hierarchy dictates who is spoken to first, as well as communication styles. Due to respect for hierarchy and dependence on others in making decisions, watching what you say is highly advisable. Though there is a desire for smooth interpersonal working relationships, silence is uncommon in communications. There is more a of a penchant for multiple conversations simultaneously and frequent interruptions. Think of a huge family party with lots of conversations, laughter and raised voices. Many businesses in Central America want to prove that they are capable of conducting business and will rarely shoot down a reasonable request, even if they lack the means to accomplish it. In the United States there are certain norms, or rules, when it comes to space between people. Personal space, which is typically indicated as a bubble around your person… well that’s going to be popped real fast in Central America. People in Central America tend to stand closer to others and the whole (air) kissing thing is not a typical greeting in the U.S. but it is part of the culture. Once again, think of this like a family gathering or greeting, where the mother usually offers a hug to any of her children’s friends or acquaintances (well, my mother does at least). It is not necessarily an invasion of personal space just a gesture of welcome. Similarly winking and whistling is not necessarily a “come hither” gesture, but more of a reaction to what you may be saying, so don’t take it personal. And while eye contact indicates paying attention, ladies beware of machismo, and limit eye contact as it may encourage further advances. Central Americans are usually more “touchy” than us here in the U.S., but we are so used to being detached when it comes to business that we can come across as distant and rational, maybe even cold, so try to change it up a bit and be a little more personable and warm…remember you want to be part of their family, accepted into their society, gain their trust. When considering how one would want to ingratiate oneself into Mexican and Central American cultures, collectively hereafter referred to as Central American, I find that it is similar to how one would try to be a part of another family, in fact a lot of cultural norms are similar to the family structures, mi amigo. Individuals in Central American societies operate as part of a larger machine or group. While there are select individuals who have the power to make decisions, these choices are made with the whole of the group in mind. Going back to the family analogy of Central America, the father or “padre” of the family (society)makes decisions based on what he thinks will be the best solution for the entire family. There is an affinity in Central American societies for group affiliations; meaning, in order to be “accepted” into society as a whole, one must identify with a group, business, association, etc. While individuals exert some independence from society, like that family, individuals will always look to their families or groups for stability. Hierarchy in groups is also reflected in society as a whole, where deference is given to bosses and subordinates, consequently fall in line. Many Centro American societies, especially Mexican societies, are very paternalistic, which is often reflected in their political systems. Paternalistic societies indicate that the man is the head of the household and therefore has an obligation to the family to care and maintain it. Basically these societies will look after their own families and friends. Keep in mind while dealing with Centro American societies, there is a strong commitment to caring for their family (read: business organizations). Since it has been established that many Centro American societies are paternalistic, this implies that there are distinct gender roles in these societies. A woman’s expected role is to care and nurture the family. There are very few women who serve positions other than administrative work in the business sector. Women who are looking to do business in this part of the world, be aware of the machismo! Comments that are made in these countries made be thought of as “come ons” to those of us in the United States, but should not be taken personally. Generally they should be ignored, and it is best not to encourage these advances. Additionally, women have to work harder to maintain the respect of her Central American male colleagues, treading a fine line of not being too aggressive and not too soft where authority can be questioned. In addition to providing information about trade, data and analysis, ITA also supports a variety of programs, summarized here. Advisory Committees: A public-private partnership managed by the U.S. Department of Commerce and Office of U.S. Trade Representative (USTR), where business professionals can partake in formulating U.S. trade policy. The Industry Trade Advisory Committees are the primary link between industry and the U.S. government. The government relies on trade advisors to identify barriers, provide advice on key objectives and bargaining positions on trade negotiations and other trade related policy matters. Afghanistan Investment and Reconstruction Task Force (AIRTF): AIRTF was established by the Department of Commerce to provide information and counseling to companies interested in doing business in Afghanistan. AIRTF works closely with other commerce office, the U.S. Embassy in Kabul, other U.S. government agencies, Afghan government agencies, and international organizations to coordinate activities in support of Afghan economic development. The focus is to development the private sector through the improvement of a market conducive to trade, investment and private sector growth. AIRTF offers information on business opportunities, market information, tenders, and trade missions (the next one is in February, register by January 3, 2012). America’s Competitiveness Forum: provides an opportunity for business to business and business to government discussions yielding practical actions that can improve competitiveness and economic prosperity in the Americas. Good Governance: a program promoting rule of law for business. Good Governance uses country-tailored approaches to support local efforts by private sector organizations working to combat corruption. Good Governance works to ensure that U.S. firms have equal opportunity to complete in a transparent business environment. InvestAmerica (SelectUSA): U.S. government wide effort to encourage, facilitate, and accelerate business investment in the U.S. by domestic and foreign firms. Iraq Investment and Reconstruction Task Force: established by the Department of Commerce, this program also has the same intentions and process as the AIRTF (see above). Iraqi Trade Delegations will be present for various conferences and shows in early 2012 in Las Vegas (Nevada), Istanbul (Turkey), Chicago (Illinois), and Houston (Texas). Market Development Cooperator Program: awards include financial and technical assistance from the ITA to support projects that enhance the global competitiveness of U.S. industries. These awards establish partnerships between ITA and non-profit industry groups. SABIT (Special American Business Internship Training Program): creates a forum for business development and technical assistance. It helps American organizations create new relationships and strengthen existing ties with Eurasian partners and customers from each of the former Soviet republics. Safe Harbor: intended for organizations (within the EU or U.S.) that store customer data; it was designed to prevent accidental information disclosure or loss. Stopfakes: resource about protecting intellectual property rights. Strategic Partnership Program: enables increased export opportunities through joint outreach and education to small and medium sized U.S. businesses. Its mission is to expand the U.S. export base through innovative public-private sector partnerships. Sustainable Business (Sustainable Manufacturing Initiative): launched by Commerce’s Manufacturing and Services. Goals include identifying U.S. industry’s most pressing sustainable manufacturing challenges, and coordinating public and private sector efforts to address these challenges. Competitiveness: ITA advances policies and strategies that stimulate innovation and advancement, enhance economic growth, and support the U.S. manufacturing and services industry. They represent U.S. industry’s commercial interests in trade negotiations, bilateral and multilateral discussions, and in policymaking. Industry Analysis is provided by the office of Manufacturing and Services. Industry analysis provides information and analysis regarding issues that affect U.S. industry competitiveness. Their services range from evaluating the possible effects of U.S. government regulations and domestic policies on industries to providing trade and industry data supporting the development of national economic policies. In terms of Statistics, there are a few options. Users have the ability to select from State Imports, which is also broken into three categories (1) Global Patterns of State’s Imports (e.g. imports to California from each country) (2) State by State Imports from a Selected Market (e.g. imports to France to each state) (3) Import Product Profile from a Selected Market (e.g. products to Minnesota from Iceland). The Statistics section of ITA also has links to Trade Policy Information System, but it is only available within the Federal government, or through a Federal agency account or grant or contract from a Federal agency. Trade Policy Information System data has been used to develop trade policy, trade implementation, and trade district analysis, the publication reports, and export promotion planning. Under the Statistics section, there are several PDFs available concerning Top Trade Partners, U.S. Trade Overview Presentation, Services Trade 2010, and Free trade Agreement Trade Tables. Under the Trade Stats Express function, there are two broad categories that are additionally broken down. The first option is National Trade Data (U.S. merchandise exports and imports, trade balances) which is further categorized into (1) Global Patterns of U.S. Merchandise Trade (e.g. U.S. steel imports and exports for all countries) and (2) Product Profiles of U.S. Merchandise Trade with a Selected Market (e.g. all products traded between the U.S. and Mexico), where trade partners can be refined to reflect individual countries, geographic regions, or trading and economic regions. The second is State Exports which is broken into similar categories as State Imports mentioned above. All data searches and queries have the date range of 1989 to 2010 and a quarterly data of up to five years. Additional data options are dollar or percentage changes. Map displays 2005 to 2010, and the NAICS, HS, or SITC classifications can be used, but users may also search by product list, code, or search, giving every user plenty of options. Let’s play a game. Ok, so you are a company making your way in the game of globalization, where you navigate through rising fuel costs, demands for sustainability, government bureaucracy, etc. Your freight is moving in the water, heading towards its destination, you’re doing alright. But, wait! Your last roll dictates that you have an increase in demand for the same product due at the same time as your ocean freight. You have two options, pay the cost of air transport or lose the client to whom you are selling. You decide to pay for the air transport. So things are running smoothly, and as you progress along the board, you land on a space that requires you pull a card from the dubious “Government Bureaucracy” deck of cards…yay! You pulled your card to find out that all your imports are put on hold by the FDA! You are asked to roll one more time to determine how long your products will be placed on hold…oh, awesome, a full twelve days. Twelve days on hold, for what reasons, you have yet to find out. You don’t have to buy this game to find out what happens next. It’s probably already in play except the FDA actually charges a $224/hour re-inspection of your imported cargo without really providing clear reasons. The Food Safety Modernization Act, signed by President Obama in January 2011 began imposing re-inspection fees October 1st of this year. “It aims to ensure the U.S. food supply is safe by shifting the focus of federal regulators from responding to contamination to preventing it.” Since it is an obvious goal of the FDA, why are they assessing these fees? When I asked Noah Munoz to comment on this, he was just as lost as I was, but did say that, “The FDA is a type of agency that does not have the manpower that Customs Border Patrol has, but the way they have been conducting their line of business has been kind of backwards.” When asked to give an example, Munoz explained that FDA inspections officers are specifically for ocean or air, two separate divisions examining the same type of cargo. Munoz shared an experience where two imports of the same product were on hold—one ocean and another air—and samples from the ocean were taken first, though the air cargo arrived first. They ended up taking two samples of the same product from the same company and importer at different times, without the officers comparing notes. Room for improvement? Well, according to Noah, “Don’t take it on a case by case basis” referring to the FDA ‘s practice of not looking at the importer’s record or history, which would indicate if there were any compliance issues or problems with said importer in the past. Since they currently do not provide reasons or feedback why cargo is on hold, nor does there seem to be clear levels of priority between hot cargo and other cargo, some transparency would also be appreciated. How many things that we buy are actually produced locally? Most likely not much, but that’s the beautiful thing about trade, we can specialize in industries, and essentially share our talent and products with the world, and vice versa. Take your morning cup of coffee, the mug is probably from China, the coffee from South America, sugar from Thailand, creamer, if you take it, hopefully from the continental U.S. Your morning cup of coffee was probably made with 75% of the world’s products…the only way it gets from where it was actually produced into your hands is through logistics. With increasing globalization, we get products from far off places, brought to us magically by transport logistics companies and their semi trucks that we rush to get past while a freight train passes below. Utilizing all modes of transport from air, to railroads, to trucks, and ocean freights, goods are literally moving in all directions, all around us everyday. Transportation logistics companies handle the nitty gritty of product transport. You may have started a small business, and larger commercialized carriers like FedEx and UPS took care of you…ah the good old days. But now you’re growing, and that’s great, right? But now you have “outgrown” these companies and have to deal with government regulations and agencies, bureaucracies, and the loveable red tape. These newly emerging companies are the first to get fined because they have been spoiled with FedEx’s simplified practices. Noah Munoz, West Coast International Operations Manager, of Platinum Cargo Logistics was gracious enough to speak with me about some recent developments of the transportation logistics industry, including the FDA’s Food and Safety Modernization Act and Customs Border Protections ISF, or 10+2. Noah hails from the Empire State (of Mind), New York, graduating from NYU with a degree in international business. He began his career in the automotive sector at Ford Motors Company, working closely with the design center contracting suppliers of car parts to create prototypes shown in car shows. While working for Ford Motors, he became International Imports and Export Compliance Manager in 2007. When he moved to California, he became more involved in logistics, overseeing ocean and air divisions and managing industry compliance, as an International Operations Manager, before obtaining his current position at Platinum Cargo Logistics. Platinum Cargo Logistics, was founded out of the desire to do thing differently and better with customized service solutions: “Intelligent Solutions, Powerful Results.” Dedicated to “Efficiency, Knowledge, and Solutions [… ] with Every Shipment,” Munoz joined Platinum as the West Coast International Operations Manager. In this position, Munoz supports Platinum’s West Coast offices dispersed along the coast (San Diego, Los Angeles, San Francisco, and Seattle) and the office in Denver. Utilize your network! Relationships are important in Korean society, they are the basis from which everything else is built, including business. The ability to accomplish your business goals is proportionate to who you know, and additionally their status and contacts. Korean companies are often members of larger conglomerates, and high ranking officers are usually involved with government agencies…waiting is all part of the game—there may be quite a few people you need to meet with in order for your proposals to go anywhere. The lone wolf that meets you for your business meting may serve as gatekeepers, but this person may be the one who sells your proposal to the rest of his company. He or she are your first obstacle to success in South Korea, so present to him or her as if they were the last person you would present to. Meetings: Most meetings, like China and Japan, are formalities with an exchange of information, so be prepared to provide copious amounts of it. Sending materials ahead of you so that your Korean colleagues can review it could be something to consider. It goes without stating to come well organized and prepared; during the meeting avoid disagreement and present a united front. These Irish of Asia are prepared to express emotions, and barter with you…en garde! Negotiations: Korean negotiations are more emotionally charged than most other countries in Asia, and some in the West. They may be aggressive, direct and quicker to express anger or frustration…how are you going to react to all of this? Keep your cool (Save your face!). Usually if they have a good feeling about you, price (if fair) is not really an issue…let them buy your personality first, business is easier that way. Contracts are similar to the Chinese memorandums: flexibility is key. When your meeting starts to divert to social chit chat, your meeting is probably over…however if they are curious about a particular facet of your proposal…pursue it! Bow at the beginning and end of a meeting…and prepare to get to know everyone after hours. After Hours: Dinner has become the main meal of the day, and business dinners invitations are customary. DO NOT DENY! It is important to establish these informal relations as it builds on your personal character, which is not really separate from you business persona. Koreans have similar dining etiquette as the Chinese and Japanese, concerning seating arrangements, how much food to put on your plate, the use and placement of chopsticks, etc, however “elbow support” is used when passing food or drink. Mutual trust and compatibility are the basis for good business relationships in Korea; in order to asses your true personality, alcohol is used. Among alcohol’s many powers, one of its main powers, unfortunately, is allowing people to speak their mind, regardless of situation. Know your limits, what may be said after a two, or three, or four, or five (are we starting to slur our words yet?) drinks can be taken seriously the following morning. Introductions: No touchy! As with most Asian cultures, Korea is also a non-touching culture, so wait to be introduced to Korean colleagues. Business cards are typically exchanged, with similar practices of presentation as mentioned in previous countries (in the native language, use of both hands in presentation, accompanied by a slight bow, etc. ), concluding with the Korean handshake, with what is known as “elbow support.” The Korean handshake is similar to China’s in its limp grasping of the other’s hand, but only using one hand (instead of two). “Elbow support” is when your right hand is extended, your left hand grasps your lower (extended) right arm. Caught ya! Be honest, you just tried to do it! The gesture has come to mean extra sincerity; it is a Korean gesture of hospitality and welcome; gifts, drinks, documents, and meals are given and received in the same manner. Women, do not expect Korean men to offer their hand first, you have to take the initiative; conversely Korean women may prefer not to shake a Westerner’s, particularly a man’s, hand. As you leave for the next leg of your journey throughout South Korea, a small farewell bow is expected to every individual present, though some younger staffers may wave. Communication: Many older Koreans do not speak English, and since age is revered here, those people are probably the big players, but some young people may, since it is widely taught in schools. A translator may suit your purposes better, if you want to play it safe. A note of caution, Korea and Japan have some bitter relations, due to their history of invasion, so refrain from using your Japanese here, unless you represent a Japanese company. Face, Silence, and Flexibility: Like China, context is important in South Korea, but allows for confrontational speech. Let’s be clear, direct, but not blunt…we are still trying to save (your) face here! While Koreans may say what they feel (remember, “Irish of Asia”), they are still mindful of preserving face and avoid being disrespectful (oh, Confucius!). Koreans are also practitioners of silence, which they see as a proactive form of communication. Silence may be due to confusion, or lack of full understanding, or may be utilized to practice evaluate you and try to figure out what you are thinking or feeling, a mind-reading process (all about saving face). As Westerners we tend to prefer noise, of some sort, even background noise, instead of silence. Suppress your urges and be silent! You don’t want to give more information than you are willing because you were looking to fill the void. The use of visual aids—pictures, graphs, numbers, charts—can be used to avoid confusion. When you are ready to sign “contracts” with Koreans, they are similar to China where these “contracts” are really “memorandums” where they outline how business partners intend to work together, in ever changing situations. This is a relationship: good business partners take care of each other. The U.S. and South Korea have enjoyed a long security alliance, and the revised free trade agreement will be the most commercially significant agreement in more than 16 years. South Korea will likely become a major U.S. trading partner…so laying some groundwork right now, would probably be a good idea. South Korea has been conquered time and time again through different Asian countries, they have been considered the “Irish of Asia” sharing similar histories and becoming the defensive and feisty ones of Asia, you have to wonder if there’s any red hair there. Considered to be more individualistic and emotional than their Asian counterparts, Koreans do share cultural similarities with their Japanese and Chinese invaders. Confucius Influence: Similar to both Japan and China, they have a long respect for Confucian teachings, especially those concerning hierarchy, seniority, modesty and honor. They show respect for seniority and rank through humility and preserving face, so watch what you say! Like Japan and China, they have similar protocols for showing respect that are determine from where you sit to who starts introductions. Individualism: Though there is a stronger presence of Christianity in South Korea, those who are Buddhists follow the Mahayana tradition. This tradition of Buddhism stresses the strength of the individual in achieving nirvana, or the end of suffering. Koreans, like many Mahayana Buddhist countries believe that the universe is beyond their understanding, and that many things are determined on greater forces, such as fate and ancestors, but that the individual has the power to achieve nirvana. Their Korean individualism is often at odds with their group oriented culture rooted in obligations to families or groups (workers or those involved in the family business). There is a strong feeling of interdependency of among members of a group or business, the group dynamic is therefore important; harmony is preserved by saving face, avoiding saying “no” directly. While Koreans may gather information from below, and decisions may be made with consensus, nuances of individualism still play a part in the process. For example, meetings are also usually conducted with an individual, or a few people, instead of with a group, so the person that meets you in the lobby, he may hold the keys to your success in the emerald city. Relationships & Trust: Western individualism is recognized, but the self is down played in the big picture. Relationships are really what matter, the heart of Korean society, the grease that moves the wheels. These relationships usually determine future action. With good relations comes good kibbun (kai-bon) or good feeling, which involves trust and intuitive logic. Similar to how Chinese tend to do business with those they trust, it is similar in Korea, they prefer good energy between the two companies and peoples before conducting business. However, build a network: if your only point of contact is out of favor or somehow demoted, your business prospects are looking rather grim. Network, network, network: the right people can determine success or failure.